BUFFALO, N.Y. -- U.S. Attorney James P. Kennedy, Jr. announced today that a Minerva Maestre, 50, of Dunkirk, NY, who was convicted of possession with intent to distribute 28 grams or more of crack cocaine, was sentenced to serve 60 months in federal prison by Senior U.S. District Judge William M. Skretny. In addition, the defendant was ordered to forfeit more than $150,000 in drug proceeds. Assistant U.S. Attorney Timothy C. Lynch, who handled the case, stated that on April 28, 2017, Dunkirk Police, the Southern Tier Regional Drug Task Force and the Drug Enforcement Administration executed a search warrant at the defendant’s residence located at 51 E. Second Street in Dunkirk. During the search, officers seized 60 grams of crack cocaine, 42 grams of cocaine, plastic baggies, and $171,962 in cash. 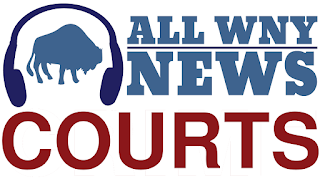 The sentencing is the result of an investigation by the Southern Tier Regional Drug Task Force, under the direction of Chautauqua County Sheriff Joseph Geraci; the Drug Enforcement Administration, under the direction of Special Agent-in-Charge James J. Hunt, New York Field Division; and the Dunkirk Police Department, under the direction of Chief David Ortolano.